The scraping of metal on metal, the growl of hard rubber across bitumen; the buzz of five flywheels whining in unison, interrupted only by the sharp crack-and-clatter of timber on pavement. It’s the sound of progress to some, but to others it sounds like the theatre of war. 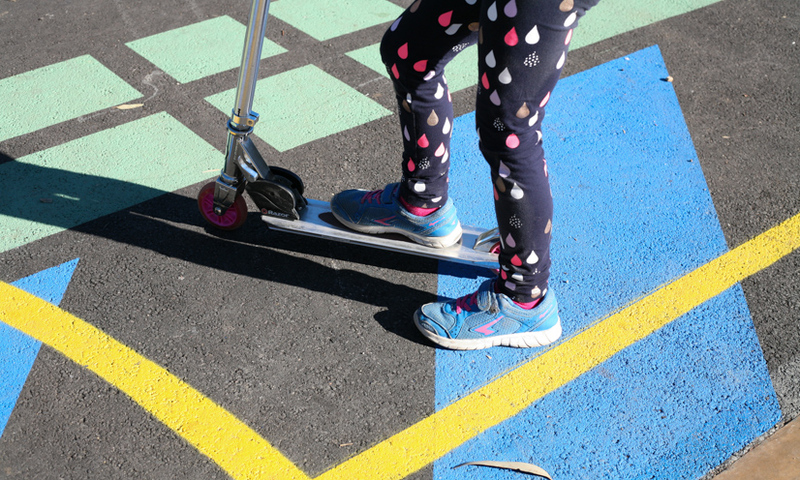 BMXers, skateboarders or scooter…ers – like most children – are better seen and not heard. Groups of young men flagrantly disregarding their own safety on our roads; they’re a menace, a nuisance and a destructive blight on the public realm, our streets, our footpaths. But they’re a culture, a craft and a global communication device too. In 2020 skateboarding will be an Olympic sport. 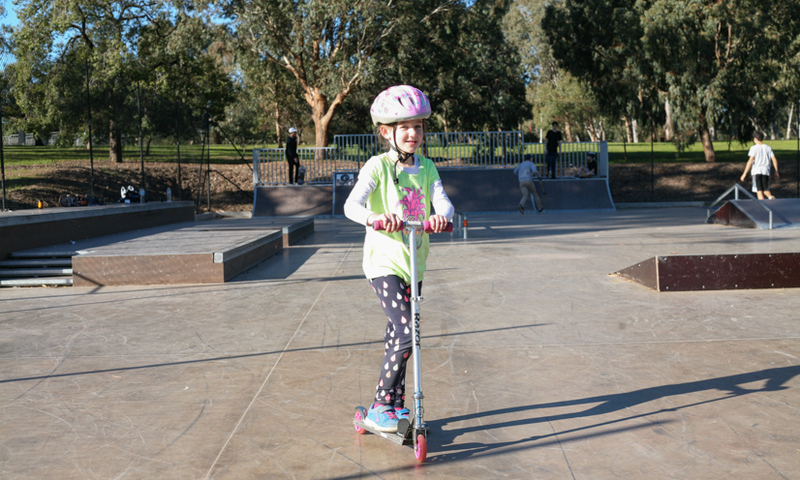 In 2015 Adelaide destroyed its only skate park, our grand stadium, the SA mecca for small-wheeled vehicles. The destruction came just 15 years after we invested $3million building a place for young people from all over metropolitan Adelaide to come and push themselves to the extreme. Now – as a replacement of sorts – we’ve got a temporary skate space on a reclaimed basketball court just outside of town worth $250,000. This represents a $2.75million divestment in the youth of today. Matt Hodgson (interviewed in the film above) owns Little Black Bike, a small business in Adelaide that caters to the city’s BMX riders. But worldwide – BMX, skateboarding, rollerblading, scooters – all of them – can mean big business too. And while state and local governments remain stalled over a decision about how much to spend and where to put a new skate / bike / scooter facility in the city, the world is moving forward at almost breakneck speed, in an effort to match demand and reflect the true value of small wheeled vehicles. The skate shoe company Vans recorded $2billion in sales last year. More people skate than play tennis in the United States right now. But actually, while youth stays young, skateboarding has grown up. Investinbarcelona.com proudly proclaims Barcelona, Spain as the skateboarding capital of the world and cites skateboarding as a reason foreign companies and high-net-worth individuals should invest in Barcelona. Links to tourism and revenue from out-of-towners looking to have world-class skate experiences have been documented and now form lines in enlightened council’s ledgers. Barcelona estimates skate tourism generates $40million in revenue for the city. Forget the tens of millions of dollars that progressive skate spaces have injected into municipal coffers around the world. It’s a reductive way to rationalise investing in young people. But sometimes investment in youth needs to be over-rationalised because the thing about youth is – they stay young. It’s easy to see how we categorise them in the machine of our city. They don’t vote. They don’t pay rates or taxes. They don’t have jobs. They have neither clout nor the connections to kick up a fuss. They are disempowered. Tony Hawk, arguably the most famous skateboard name in the world turned 48 years old this year. As well as having spent almost half a century drawing breath, Tony Hawk has managed to become exceedingly wealthy. Skateboarding, BMX, scooters and rollerblading aren’t fringe activities. Their proponents are a part of society and in some cases actually shape how society sees itself. They pay taxes; they have jobs. They even go so far as to protect and serve our community. I'm	 12 to 18 19 to 24 25 to 34 35 to 44 45 to 54 years-old and I	 skate / ride every day. would like to skate / ride more. have never picked up a board. don’t see the point in small-wheeled frivolity. I'm the sort of	 guy girl other that	 works hard hardly works at my	 dull interesting day job to pay the bills and earn	 $5K - $17K. $18K - $37K. $38K - $80K. $81K - $180K. Let's just say - plenty. Contact me via	 with the results because I'd like to know what a modern skater / rider looks like too. Results remain anonymous and will be used solely to inform future articles on this subject. These people who have grown up as skateboarders to become that rarest of things – a “valuable member of society”, still wear their history of scars, concussions and fractures as medals of honour. The wounds form a timeline and mark progress for the individual on their way to attaining an ever-higher level of technical ability and esteem among their peers – and they mark them out as part of a community. As a result, skateboarding forms a cultural narrative, imbued with history. Two skate parks in the United Kingdom have obtained “asset of community value” status, with Rom skate park in Essex acquiring a Grade II listing from English Heritage in 2014. The sport’s anthropological value is only just beginning to be understood, but it’s undeniable that there is value. It’s also undeniable that the cultures of BMX and skating have some drawbacks. Laura Danvers is a 28-year-old post-graduate student at RMIT in Melbourne. She is also a skater. “I mean I don’t skate anymore,” she says. “But maybe I would if there was an appropriate place. I used to skate all over UniSA with my friend but never really at the City Park,” she says, referring to the North Terrace facility. What Laura says is true. Skating and BMX are pastimes dominated by guys, especially at old-fashioned skate parks. And there’s violence inherent in the activity of these sports. It was no accident that, at the top of this story, we described the cacophony of these activities as evoking the noise of war. 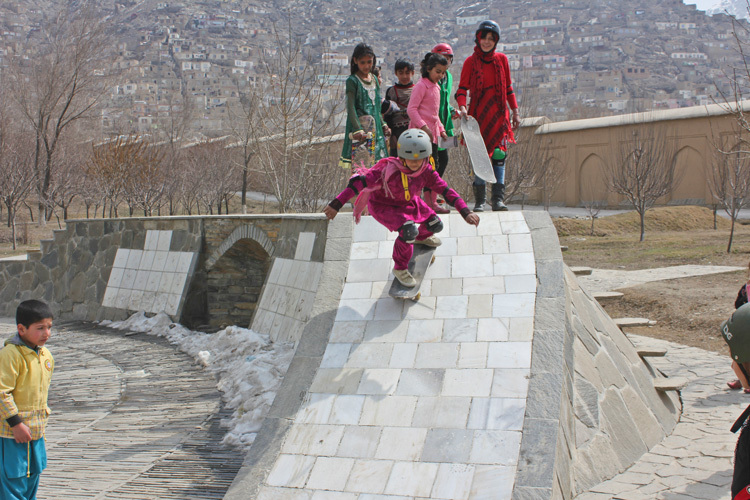 Because, in an actual war zone, skateboarding and a modern skate space are challenging some of the sport’s cultural limitations – like gender norms – and directing idle young people off the street and into school in Kabul, Afghanistan. When Oliver Percovich followed his then-girlfriend to Kabul he packed light but he also packed his skateboard. What he found in Afghanistan was a country with nowhere for its children to play. And this is a country where children make up 70 per cent of the population. So Oliver started to skateboard with the kids of Kabul. Nine years later Oliver is the executive director of Skateistan, an award-winning international NGO with projects in Afghanistan, South Africa and Cambodia. The Danish and Finish Embassies, the Swiss Agency for Development and Cooperation and, old mate, Tony Hawk Foundation, back Oliver and Skateistan as the first international development initiative to combine skateboarding with educational outcomes. In an interview with The Guardian last year about his work, Oliver shared a rather simple observation, “When it comes down to it, kids just want to be kids,” he said. 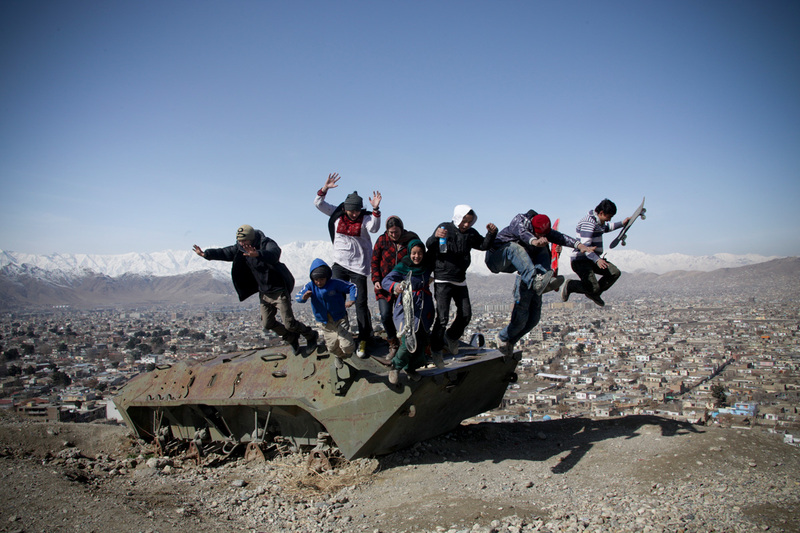 In a much earlier article by the New York Times, in 2009, journalist Adam Ellick is breaking the story of Skateistan with his article entitled: Diversion from Desolation. The journalist is introduced to Maro, a 9-year-old girl who was terrified of skateboarding at first. “It gives me courage, and once I start skating, I completely forget about my fears,” she told Ellick’s interpreter. Afghani girls are not allowed to ride bicycles or climb trees. Indeed, once the girls reach puberty, they must be veiled and are no longer allowed to mix with men outside their own family. But skateboarding is okay. And because the sport is so new and unusual to Afghanistan, Skateistan believes it will help mend the nation’s deep social and ethnic divisions. The need for this kind of opportunity in Adelaide might not be as extreme, but it’s still there. 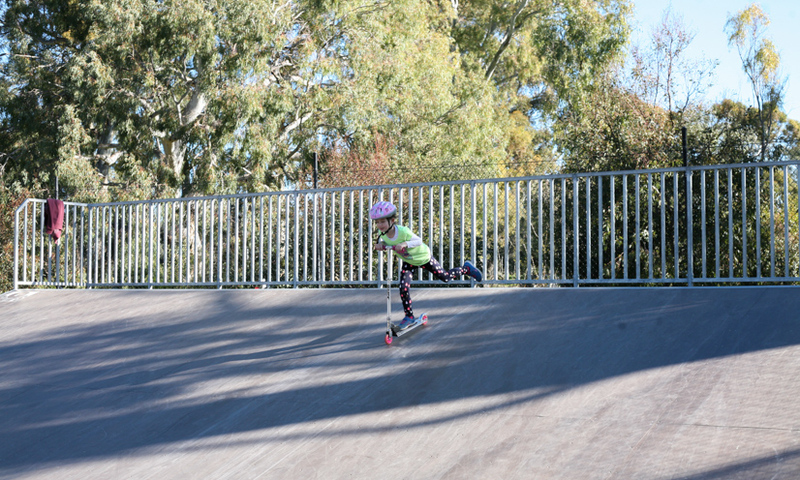 Alice Mackay is seven-years-old and she’s only come onto the skate scene since the city park was demolished. She’s making the most of the temporary skate space on Wakefield Road though. “I like to go fast,” says Alice. Alice doesn’t see what the big deal is and why she’s got to answer questions on a non-school day. Alice zooms across the length and breadth of the temporary skate space while mum, Sharon Mackay looks on. No fear – from the top of the ramp! And the bigger boys look out for Alice. On the very day we’re here to interview her we’re also filming Cale Nuske, Adelaide’s only skater to turn professional and go global with his career. Cale shows Alice how to wax a ledge and explains that it helps his skateboard grind or slide along on the metal axle beneath the wooden plank. Former professional skater Cale Nuske passing on knowledge to Alice: How to wax a ledge. Alice is a scooter aficionado though. The main point she’s taking away from her chat with Cale is to steer clear of that area for a while. It’s a cool but sunny winter day at the temporary skate space. On the other side of the arena, there’re two basketball rings with room enough for a half court. A man with headphones in his ears bounces two basketballs simultaneously with mesmerising ability. Some of the bigger boys have stopped skating for a while to play basketball themselves. There’re some families watching on as the smaller members scoot about. There’re some beer bottles and backpacks. There’s a wireless boombox playing the soundtrack to an ideal afternoon. Ideal, until you need to go to the bathroom. 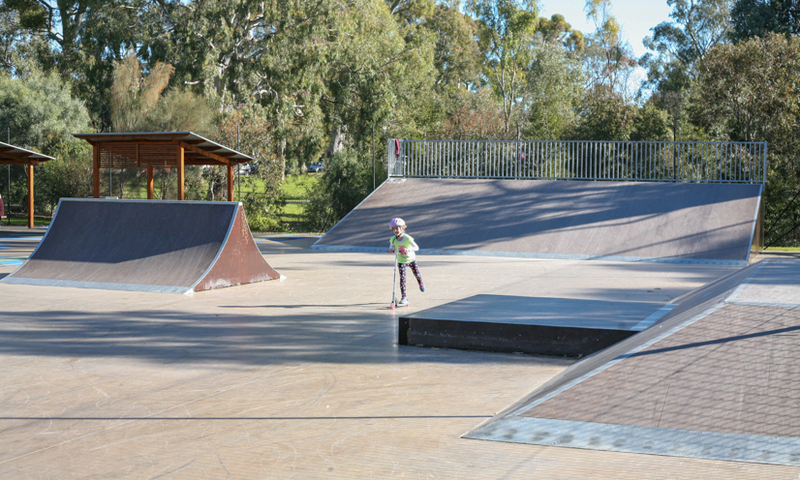 Jarrod Knoblauch – a skater and a filmmaker – was involved with the design of the temporary space and says that putting toilets at the old basketball courts, and running water, and power, plus building the facility, would have swallowed almost the entire $250,000 the Adelaide City Council had set aside for the skate space. 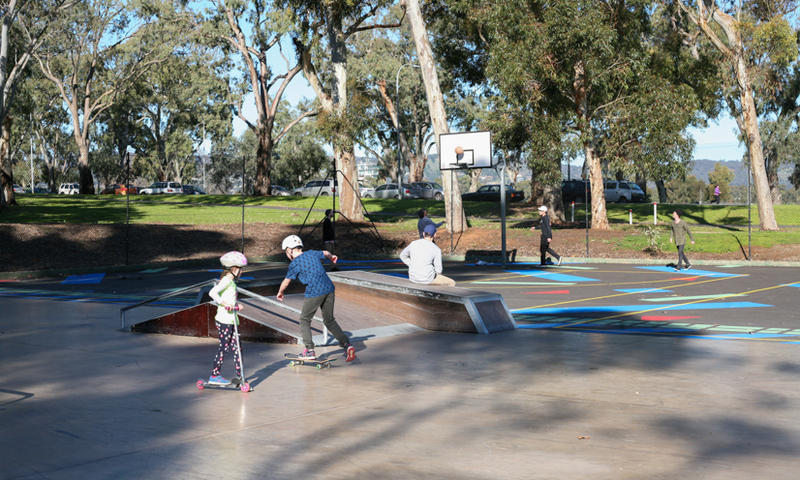 “You see it,” says Jarrod, “you’ll see a mum or a dad bring the kids down for a skate. The temporary space has merit. It’s being used by skaters. It’s being used by as many as 80 on a sunny Saturday, says Jarrod, and this is causing grief in itself. So while the temporary skate space may have bought us time, it hasn’t bought us much. And for Matt Hodgson the temporary skate space isn’t even worth the time it takes to ride across town. It’s a let down for Matt because he saw the closure of the city park as an opportunity. Al Mawer is a skate shop owner. He’s been making his way to the centre of the city for more than seven years via three locations, each bringing him progressively closer to the City Park and his customers. His shop, Twenty Fifty Two is in a basement retail location on Hindley Street. Al is in the centre of town. At just 32 he is a leader in the skate community. Along with Andy Walker – owner of local skateboard manufacturerÉlan Skateboards – he set up the SA Skate Space Association (SASSA) as a response to news that the City Park would be closed. SASSA was successful in organising significant rallies to protest the closure of the city park without a subsequent location being announced. But Al pulled back from SASSA when his colleagues started negotiating for the temporary space, now located on Wakefield Road. Instead Al is looking at semi-permanent, or should we say transportable, solutions of his own. 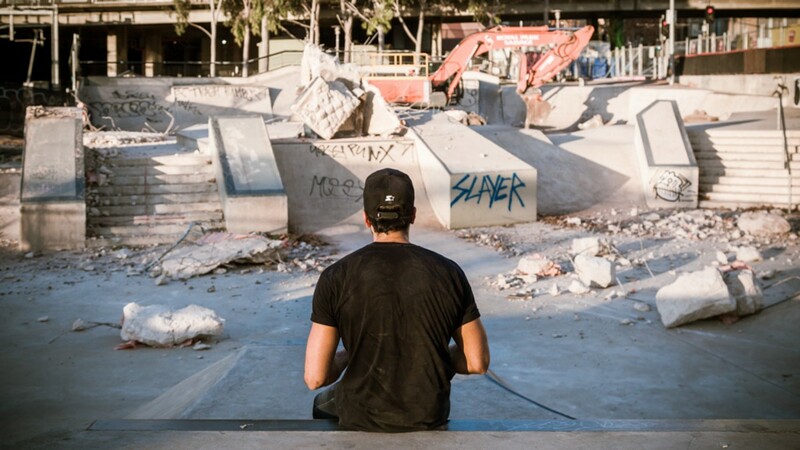 He’d rather commission an artist than a carpenter or even concreter to build Adelaide’s new skate space. “Have you heard of Rafael Zarka?” he asks. “He’s a French sculptor and skater and he’s doing incredible work which pushes skateboarding in a whole new direction,” says Al, with eyes bright. Raphaël Zarka, Riding Schoenflies, Exhibition at Espai d’art contemporani de Castelló (EACC) 2016 | Skater: Sylvain Tognelli | Photo: Maxime Verret. Have you heard of Raphael Zarka? This plan for Paine’s Park in Philadelphia looks very much like an illustration of Adelaide’s own riverbank, where Memorial Drive snakes around to Montefiore Rd. 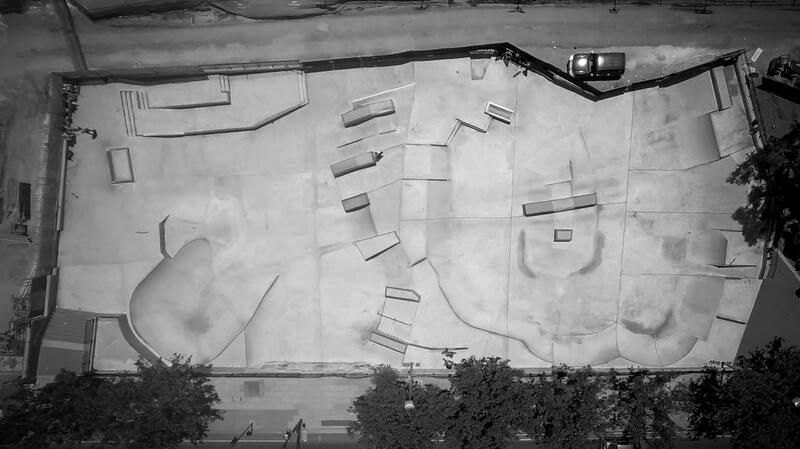 Al is currently developing an idea with River Massard – one of his customers and fellow skater who’s designed a series of geometric objects that can be transported and transplanted throughout a city – that can be both art to behold, a bench for weary walkers and an obstacle to skate or bike on. Al and River aren’t all that avant-garde though. There are cities around the world incorporating skating into their public realm. 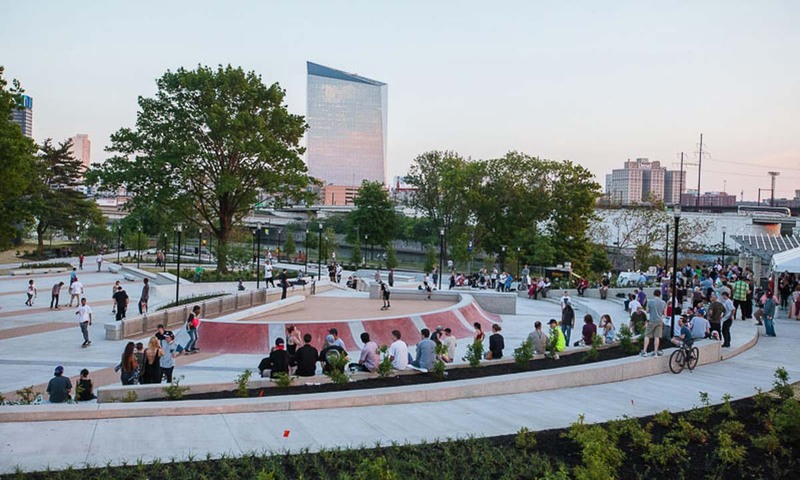 The city of Philadelphia has just completed a $4.5 million public realm project called Paine’s Park that offers 2.5 acres of landscaping and walkways, plus skater-friendly banks, ledges and blocks. 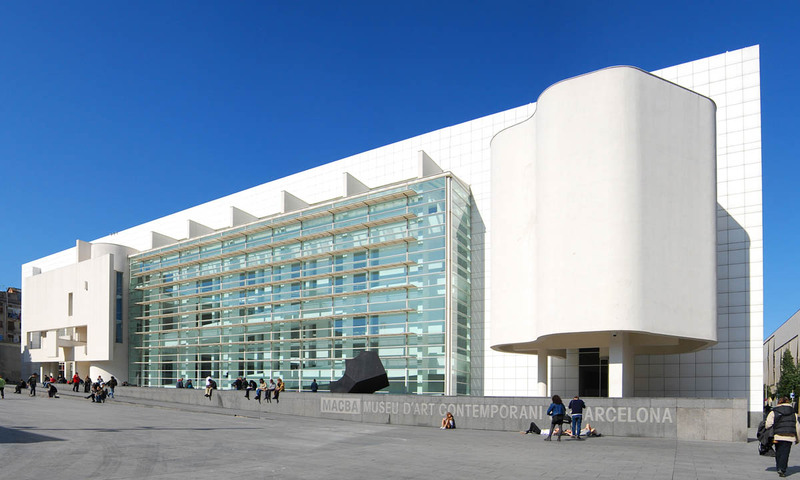 Back in Barcelona – skate capital of the world – and the most famous skate spot in the city is the plaza in front of the Museu d’Art Contemporani de Barcelona (MACBA). People go to the gallery to see young people skating its now-famous marble ledge out front. And Raphael Zarka was commissioned by Rome’s contemporary art museum MAXXI to create a three-day performative project called “Exercises in Revolution” for their exhibition “Open Museum Open City.” The work involved two skateboarders skating the area around the entrance of the museum and interacting, scuffing and scarring Raphael’s sculpture for three days with their small-wheeled vehicles. Imagine Adelaide Contemporary, the new museum proposed by the Art Gallery of South Australia, was built and incorporated an artwork and public plaza that encouraged wheeled and non-wheeled people to engage and express themselves. I can see a	 mixed-use public park brand new art gallery moving series of sculptures in or on	 Victoria Square, Tarndanyangga the Riverbank where I might go to	 grab a bite to eat skate or ride people watch take photos while I wait for a friend to arrive from out of town. I chose to meet them here because it's	 a great place to show off to visitors got everything unique and exciting convenient full of people having fun and this makes me feel	 proud ambivalent about Adelaide, in the same way	 the Adelaide Oval does. the Southern Expressway going both ways does. the SAHMRI building does. Contact me via	 when all the results are in because I'd like to see what this skate place looks like! It might seem like a big ask. 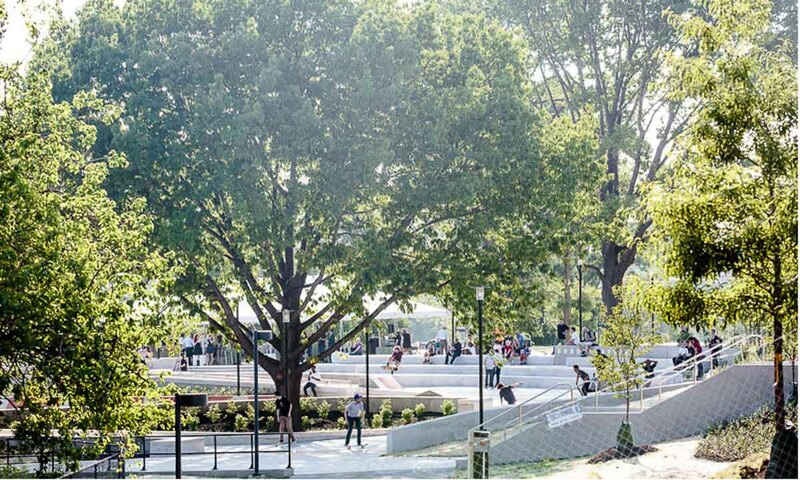 A $4.5million public park that combines running tracks, parkour, gardens, an outdoor cinema, and some stairs, ramps and rails for people with wheels. That sort of thing could only happen in a city whose unemployment rate hovers around 7.8 per cent and largest employer is the federal and city governments respectively. That’s Philadelphia’s stats – not Adelaide’s (in case you didn’t click the hyperlink). One thing’s for sure though – young people in Adelaide aren’t waiting for a hand out. Tom Reilly is a refrigeration mechanic. He’s a skateboarder and, it turns out, he’s a sometimes concreter. 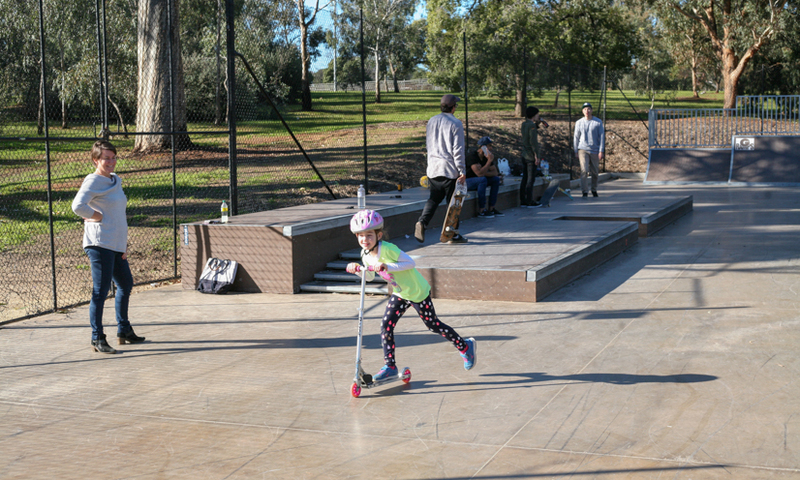 Tom and his friends took action to keep the culture alive in Adelaide with a hand-built spot on Railway Terrace just west of postcode 5000. But what if we harnessed that energy? What if we recognised the energy that’s contained within young people, the huge, literally transformative power that could be harnessed to bring even more vibrancy to the heart of our city? 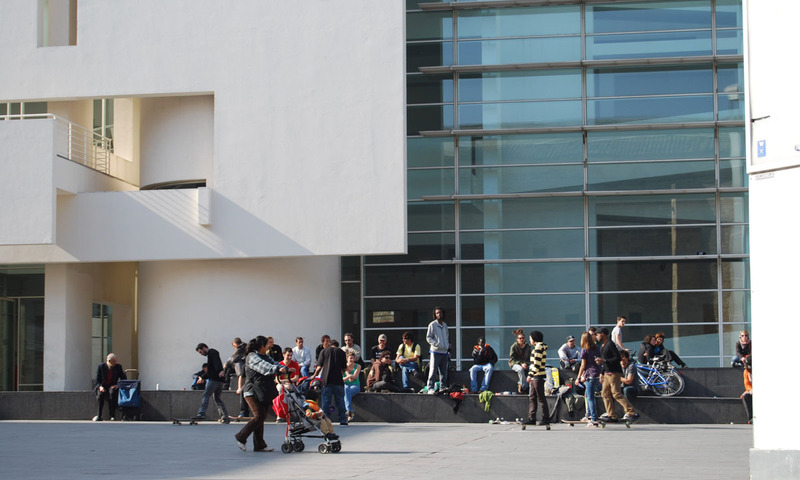 A central, world-class, progressive and artistic public space dedicated to citizens, flexible in its uses and inclusive in its design to people of all ages and abilities will make our city stronger, healthier and more socially cohesive. Imagine guests at the Hilton Hotel arriving and seeing our city’s youth smiling, laughing and defying gravity (albeit briefly). Imagine visitors to the Adelaide Convention Centre looking out from lunch at the Cardiac Society of Australia and New Zealand Annual Scientific Meeting and their joy at seeing Adelaideans of every age, outdoors and active; rolling, running, jumping – playing along our Riverbank. Imagine if we took two steps forward and only one step back. Then we’d be getting somewhere. Adelaide might even get on a roll. 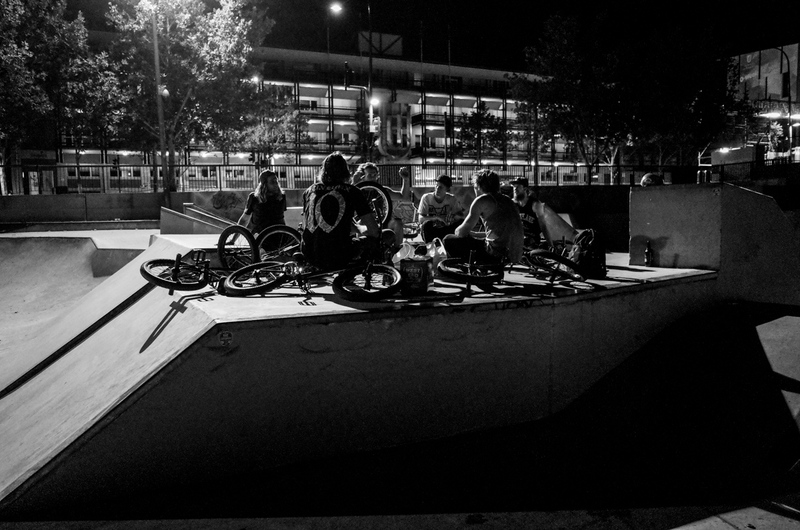 Jared Nicholson’s documentary – MORE THAN CONCRETE. Watch the original film in full via his website.